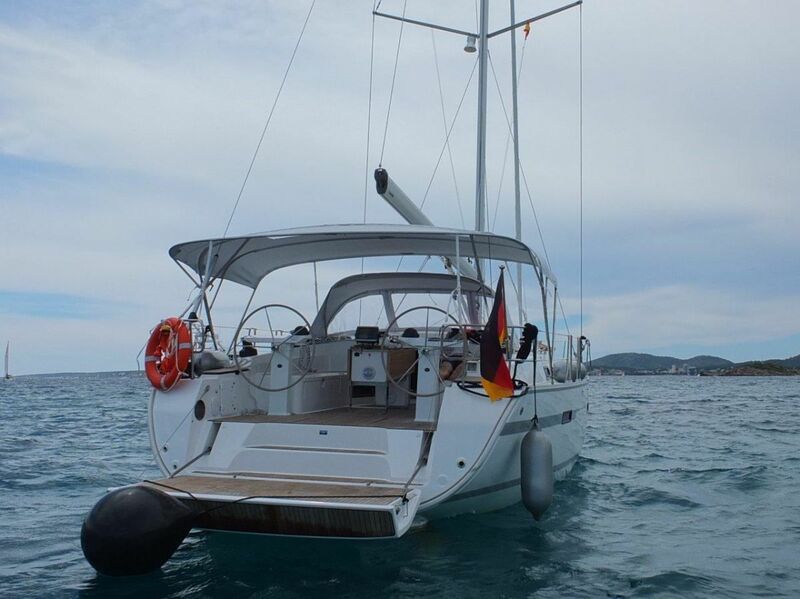 This beamy Bavaria Cruiser 45 does not only come with twin helms but with twin rudders as well which will keep this comfortable cruiser on the right track in all sorts of conditions. 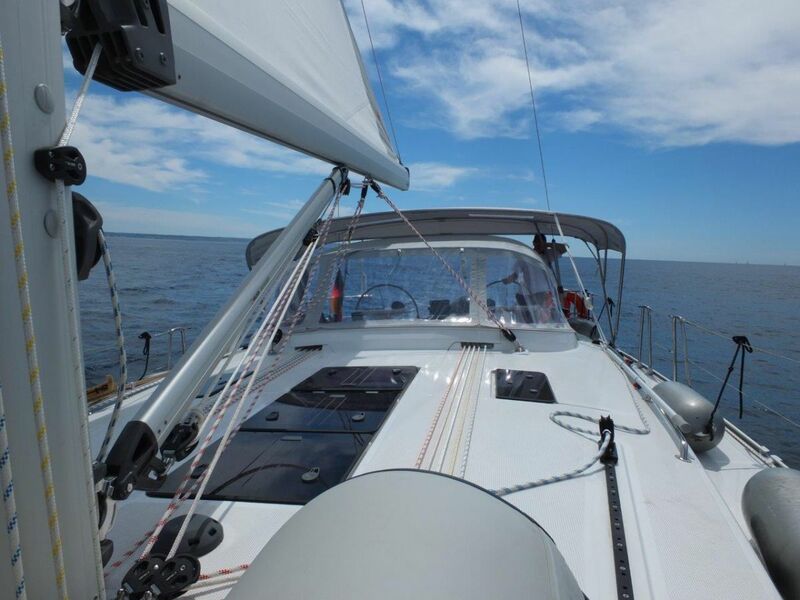 She has a Selden fractional rig with an in-mast furling main sail and a furling genoa. 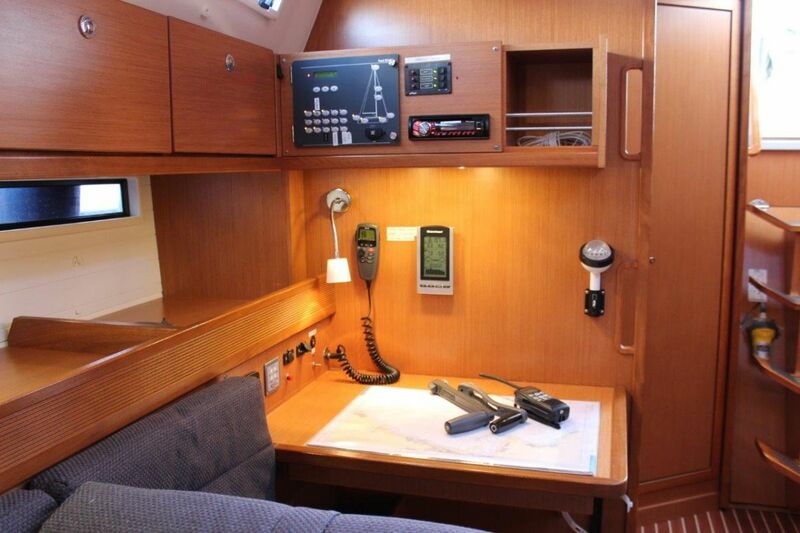 The cockpit is well laid out with a large fixed table and there is also plenty of room to stow items in the lockers and the 2 lazarettes. The nearly stern-wide transom can be lowered and raised electrically and when down it creates an envying swimming platform. 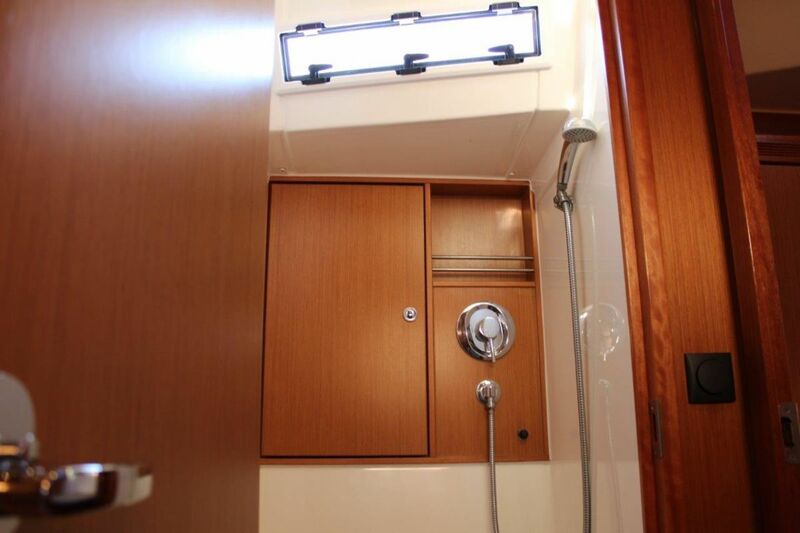 Down below she has 2 double bed cabins forward sharing a separate shower compartment and a separate head compartment. 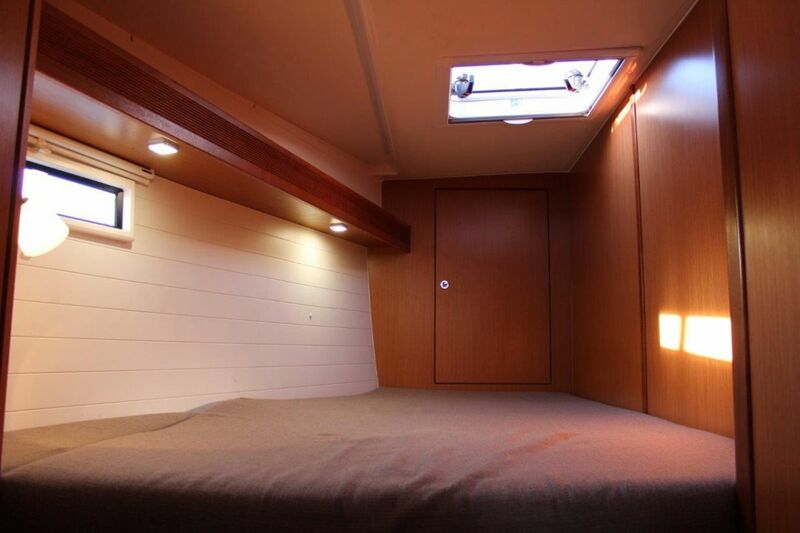 Furthermore there are 2 double bed cabins aft each with their own en suite head and shower compartment. 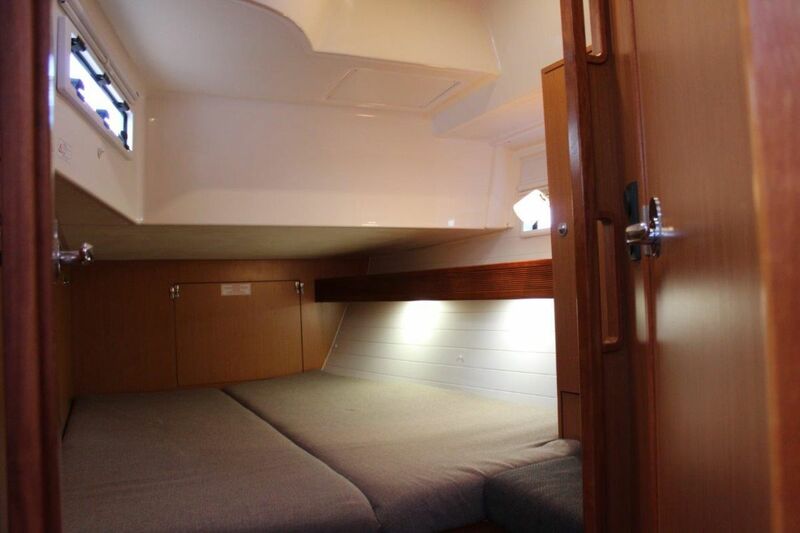 The main living area is light, bright and airy thanks to the numerous ports and hatches. 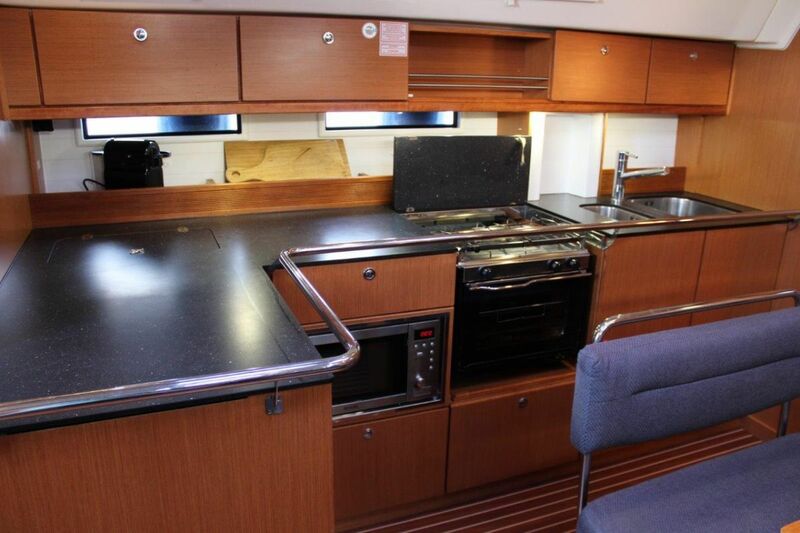 The galley with plenty of countertop space is equipped with a 2-burner gas stove, oven, microwave, coolbox and fridge. Besides above mentioned she is furthermore equipped with a bow thruster, bimini, sprayhood, life raft, Epirb, Webasto heating, etc. 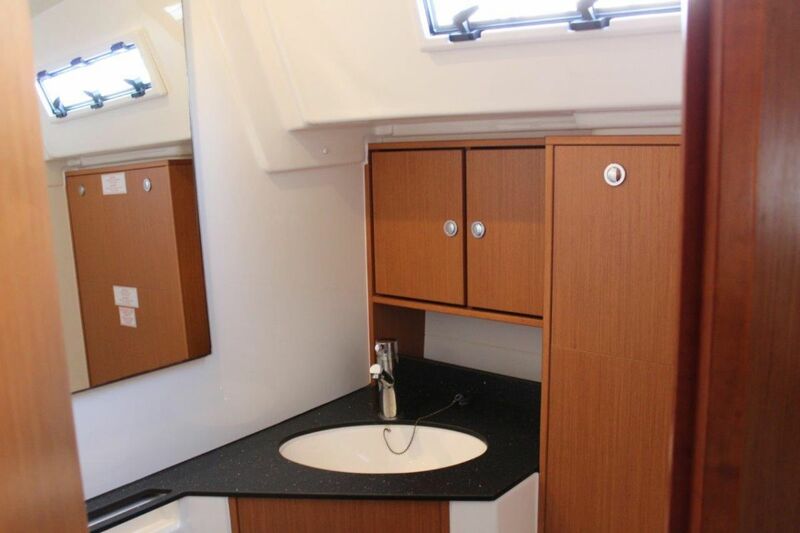 This can be the ideal yacht for those who are looking for a spacious family cruiser. 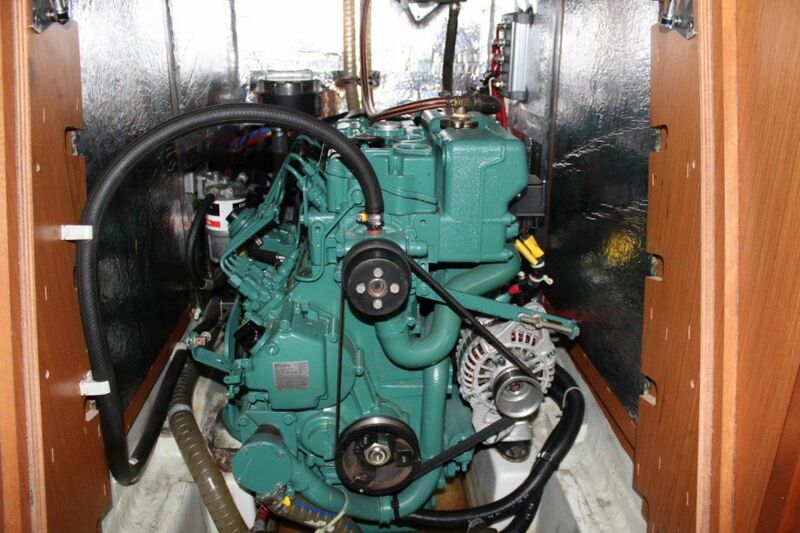 Boatmatch Tip: Want more advice about buying this Bavaria Cruiser 45? Checkout our Boatmatch Buyers Guide! 2 double bed cabins fore sharing a separate shower room and a separate head and 2 double bed cabins aft each with their own en suite bathroom. 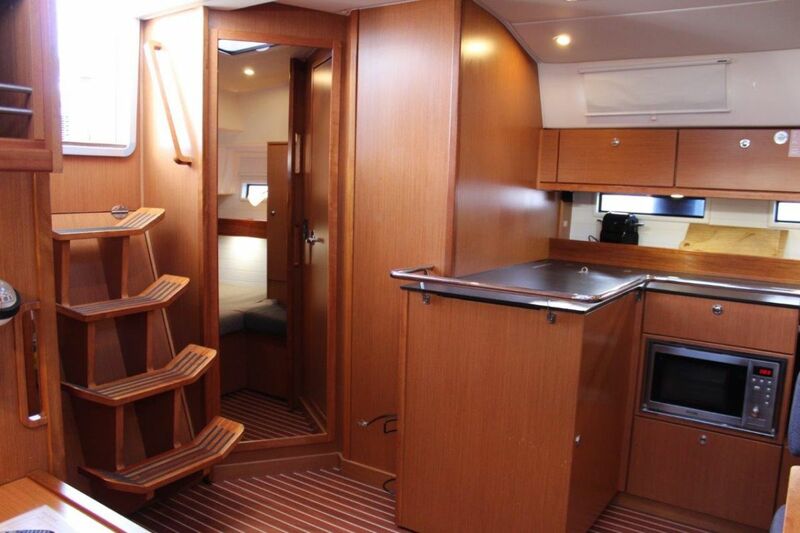 Boatmatch Tip: Have a question about the accommodation of the Bavaria Cruiser 45? Contact the seller via clicking on the registering interest button above. 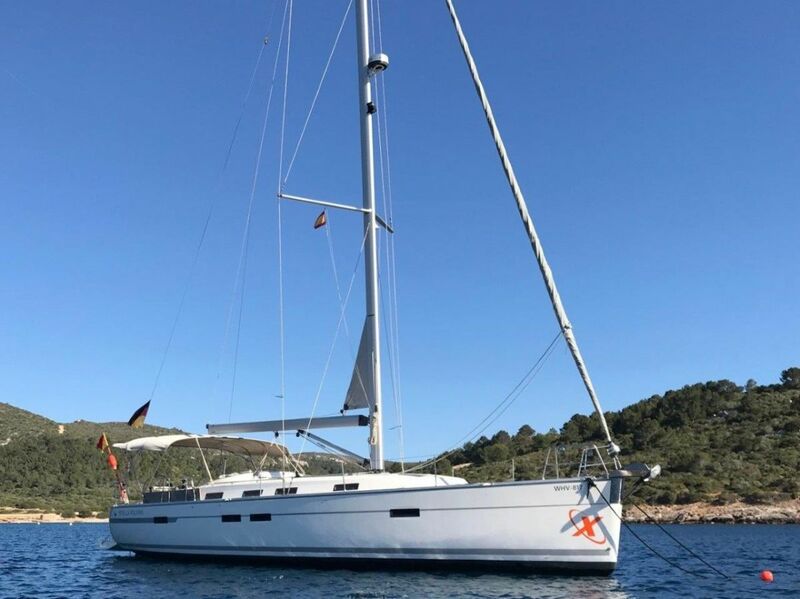 Bavaria Cruiser 45 For Sale is lying in Mallorca, Spain. At 14.27 metres (approx. 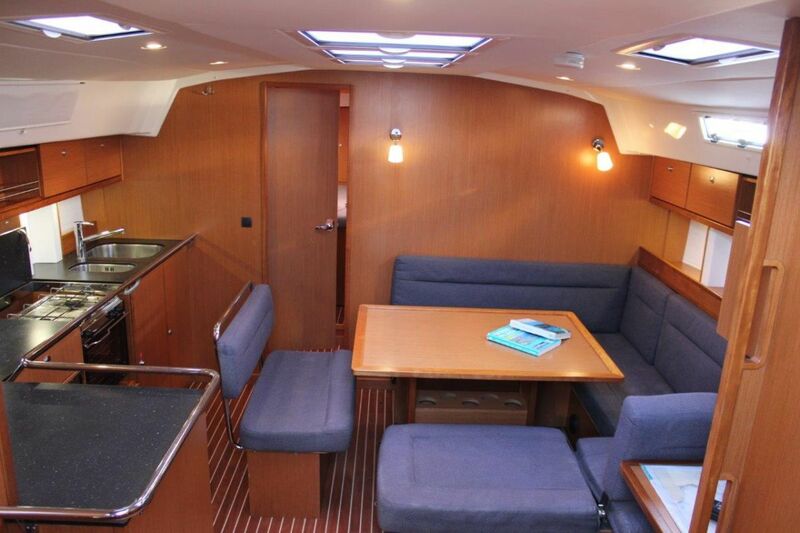 46.82 feet) this Bavaria is a bargain at €145,000. Bavaria Yachts began in 1979 incorporating the best of German craftsmanship and state-of-the-art methodology to create a name synonymous for sailing and motor yachts of outstanding value and quality.